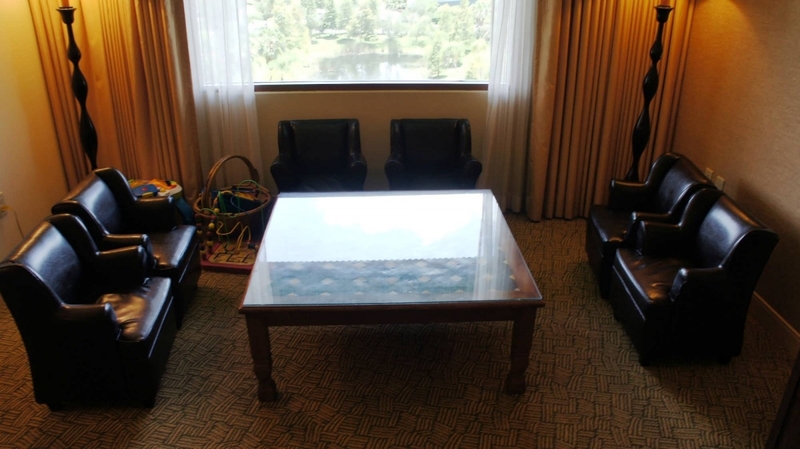 This page includes descriptions and photos of each room type available at Royal Pacific Resort, one of three premier hotels on-site at Universal Orlando Resort. Enjoy 335 square feet of tropical paradise in one of the inviting standard guest rooms. 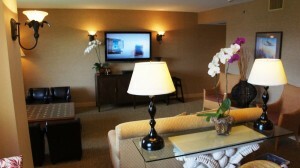 Each offers king or double queen bed accommodations and a wealth of exceptional amenities. 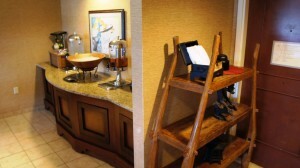 It’s all the comfort and amenities of the 335-square-foot standard guest rooms, with a view. 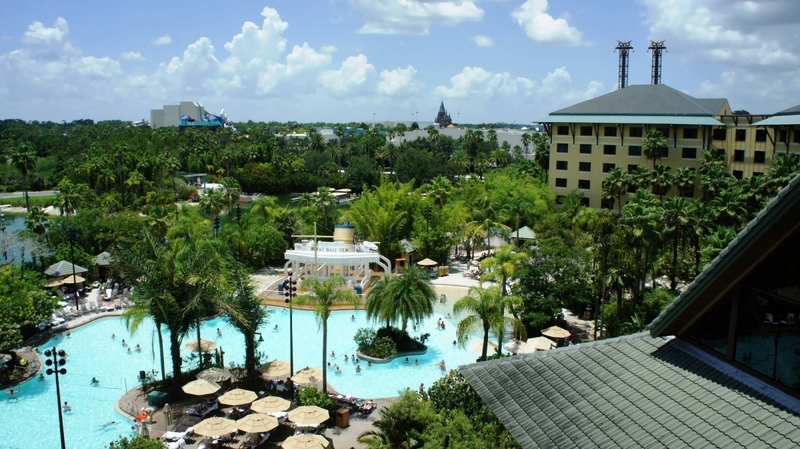 Gaze out upon the hotel’s spectacular Lagoon Pool and beach area during the day, and, at dusk, you can catch breathtaking sunsets over the waterways that connect the resort to the theme parks. 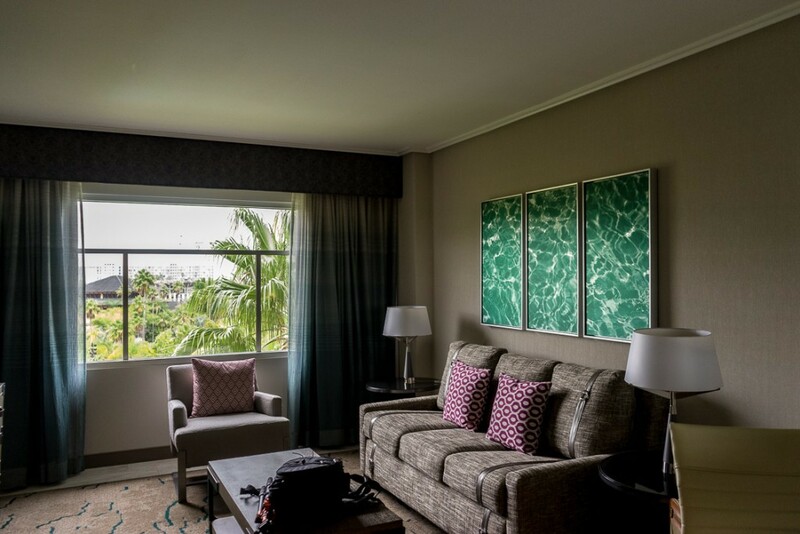 The 670-square-foot king suite will make you feel like island royalty. You’ll find a living room and separate bedroom featuring a king-size bed. The spacious living area offers ample room for your relaxation and entertainment, along with a pull-out sofa and a desk area. 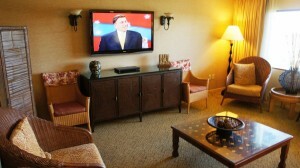 Both rooms feature an entertainment center with television and sitting areas. 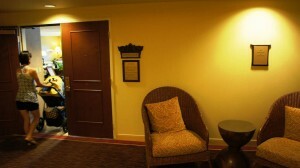 The Jurassic Park kids’ suites let mom and dad have a little privacy – and the kids have some fun! 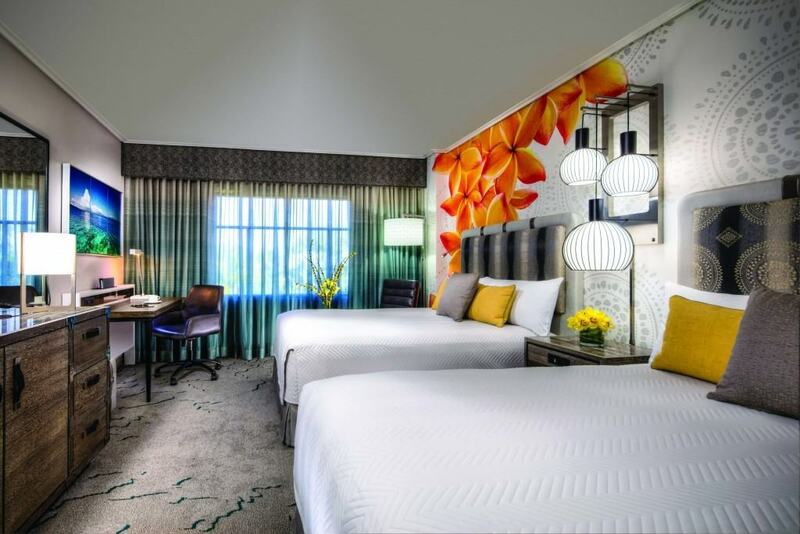 With a standard king bedroom for the adults plus a separate room for the kids, there’s plenty of space for the whole family (a combined total of 670 square feet). The two separate rooms are connected and feature a single exterior entrance to the adult room (the children’s room opens only into the adults’ room, and not into the hallway). 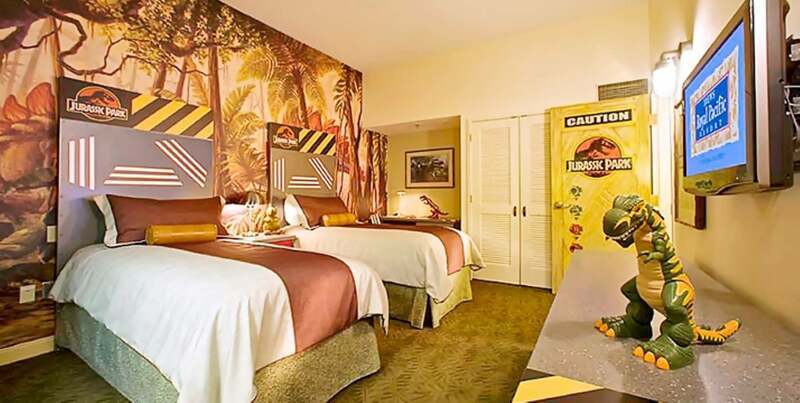 The kids’ rooms are themed in Jurassic Park decor and include two twin beds, a desk and chair, separate closet, and a 32” flat-screen television with DVD player. Enjoy additional perks and privileges when you upgrade to one of the club-level rooms or suites on the hotel’s exclusive sixth and seventh floors. 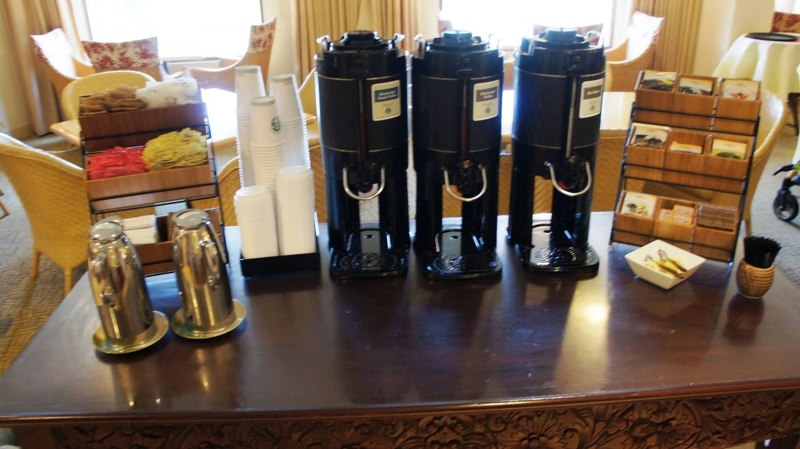 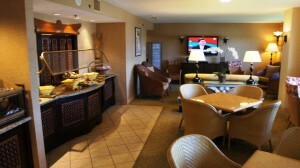 You’ll also enjoy access to the Royal Club Lounge and a host of extra benefits. 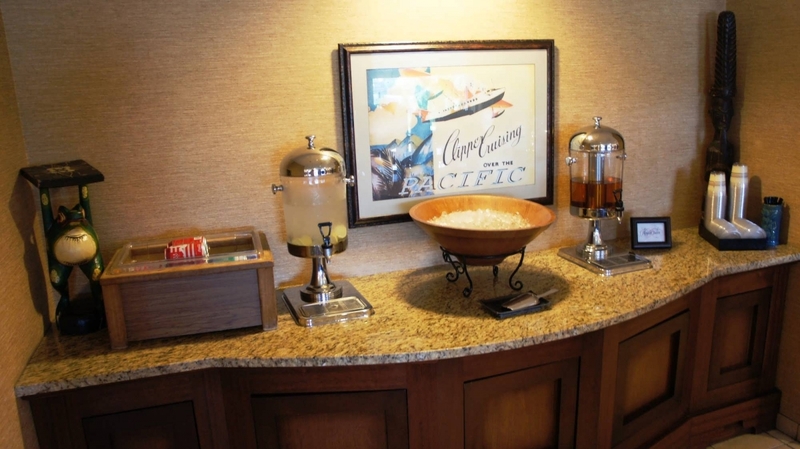 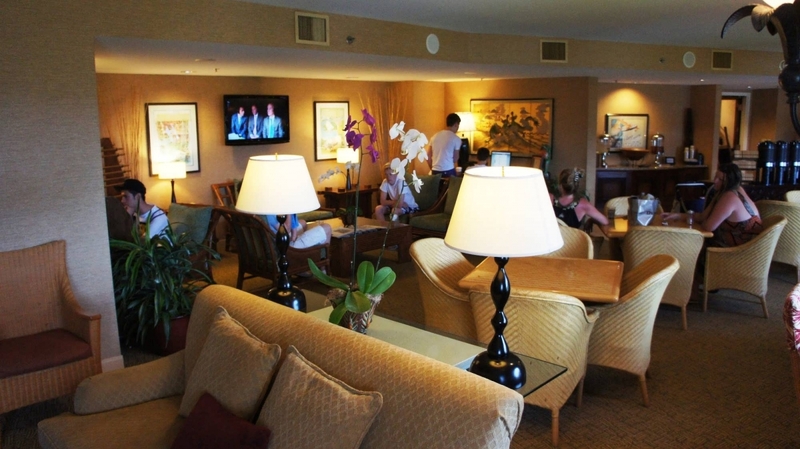 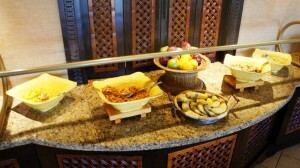 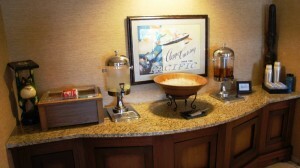 See our photo gallery of Royal Pacific’s concierge lounge at the bottom of the page. Royal Pacific also offers hospitality suites and a Presidential suite. 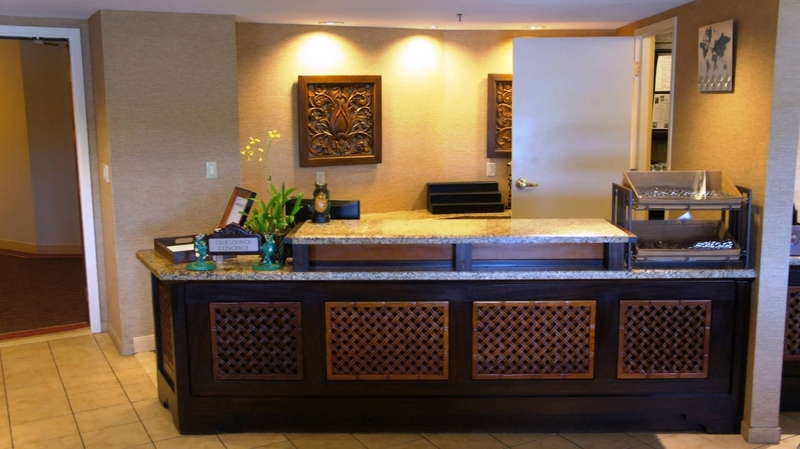 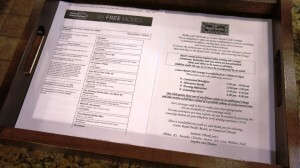 Please contact the hotel directly for information about these accommodations.